Perhaps you're going as someone who was born half-zombie, ogre, witch or anything else green and gross you can come up with. What if you were part of some off-brand, Frankenstein operation that went horribly wrong, giving you a rancid handshake for life? Maybe you could pose as a normal Joe who happens to have never, ever washed his hands. Whether you have an appetite for flesh, an itch to cast spells or a smelly bunker in the swamp, these evil green hands will add the creepy element to just about anything. Stand out, with your hands out; severe neglect for your hygiene has never been so stylish! 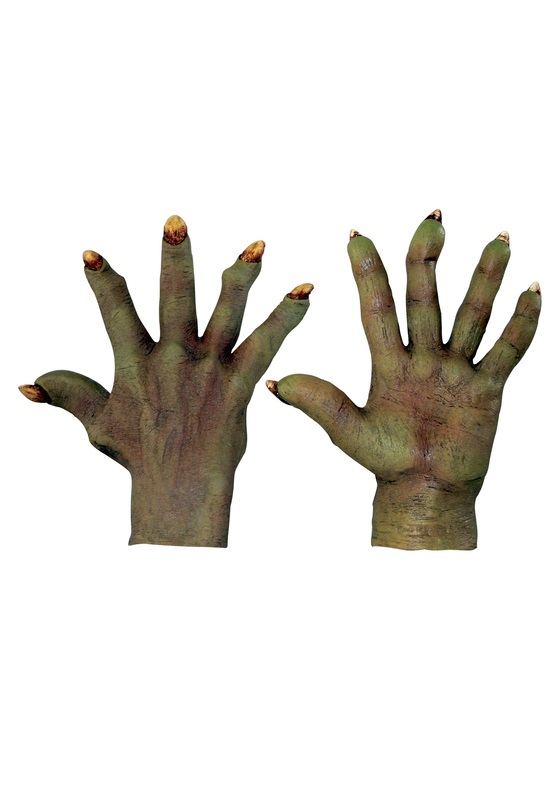 These gloves are made of molded latex and feature yellow and brown nail accents to accompany several of our other spooky costume ideas.